A trio of sweet melons come together with refreshing mint and sliced sweet onions for an interesting, yet accessible side dish you'll serve all summer long. Whisk together lime juice, honey, mint, and oil until honey is dissolved. 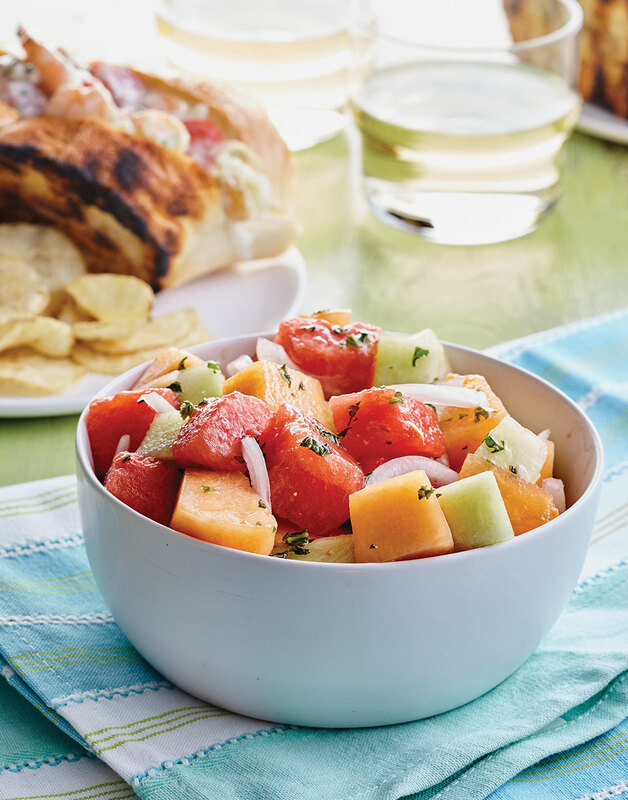 Toss watermelon, honeydew, cantaloupe, and onion, with lime mixture; season salad with salt and pepper.